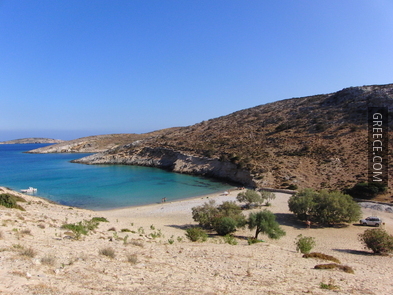 The island of Shinousa lies in the center of the Little Cyclades cluster. It is a beautiful little island that has an area of 9km² and 125 inhabitants. As the other islands of the group, Shinousa is a quiet and peaceful island, ideal for those who just want to relax on the beach. Shinousa has been inhabited since the prehistoric times. According to a legend, it was named after the bushy plant schino found all around the island. 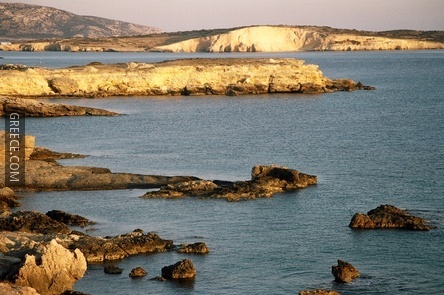 According to another legend, the island took its name after the Venetian archon Schinoza. Pirates have used the island as their base and as a refuge, a factor that contributed to its abandonment. 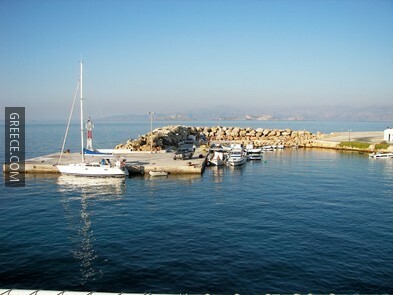 Mersini: This is the small harbor of the island located in a leeward-lying bay. 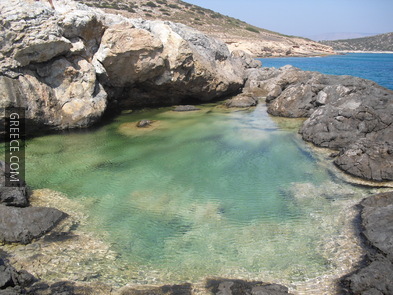 It is considered as one of the best small-boat refuges of the Aegean. It is a very picturesque and enchanting settlement with a few rooms to rent. 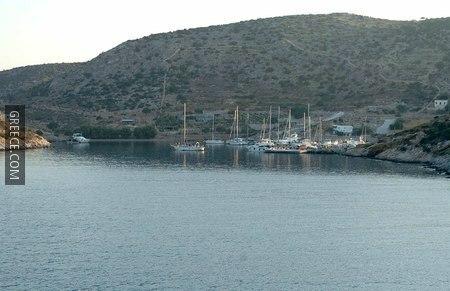 Hora: The capital of the island is 1.2km away from the port and it is built on a hill, in the inner part of the island. 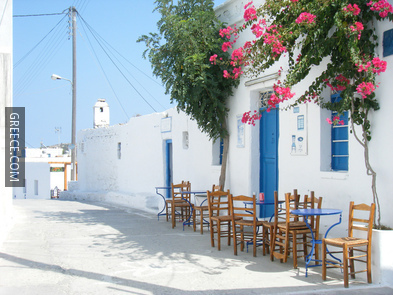 It is a beautiful village with well maintained houses and only a few of them have deviated from the traditional Cycladic architectural style. 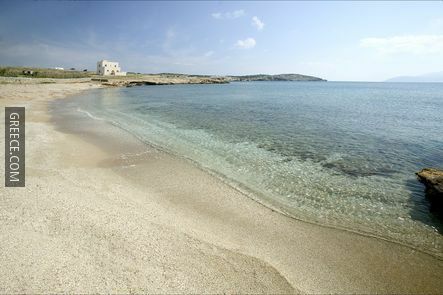 The island has 15 beautiful beaches, with great shores and crystal clear waters. The best of them are Mersini, Tsigoura, Livadi, Liolio, Psili Ammos, and Almiro. Except for Tsigoura, all the other beaches don’t have cafes or taverns around. You must visit the small church of Panagia Akathis in Hora and the church of the Annunciation - Evangelismos Theotokou in Messaria. 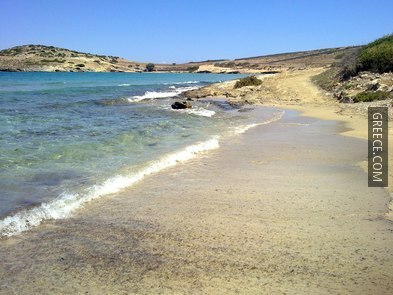 As the other islands of Little Cyclades, Schinousa doesn’t have a bus service. 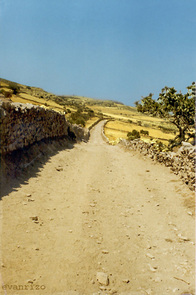 If you plan on staying in Hora you can ask one of the locals to take you there with their car. They are always glad to do it. 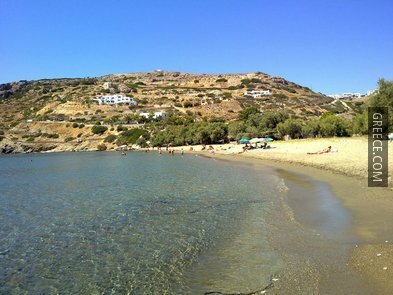 The climate of Schinousa is similar to the one of the other Cyclades and is typically Mediterranean, with mild winters and hot, dry summers. From April to August, weather is always bright and sunny.